Dragons are legendary monsters usually conceived as a huge, bat-winged, fire-breathing, scaly lizard or snake with a barbed tail. The belief in these creatures apparently arose without the slightest knowledge on the part of the ancients of the gigantic, prehistoric, dragon-like reptiles. What's the difference between Hanukkah and a dragon? One lasts for eight nights, the other simply ate knights! and is the same hue. Side, one room has a fire breathing dragon that will burn anything that enters his room. The other door has magnifying glasses in every point of direction, and the sunlight will burn you through the magnifying glasses. How do you get out? Wait until night leave through magnifying glass room. What is a sea dragons favorite meal? 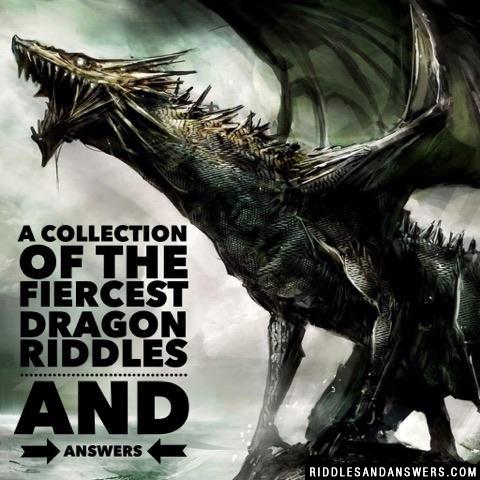 Can you come up with a cool, funny or clever Dragon Riddles of your own? Post it below (without the answer) to see if you can stump our users.